· Immunity is defined as having the adequate biological defenses to disease, specifically infectious disease, or any unwanted biological invasion. · The collection of cells, tissues, and molecules that has the capability to resist harmful microorganisms or viruses is called the immune system, and the coordinated reaction of these cells and molecules to infectious microbes is the immune response. 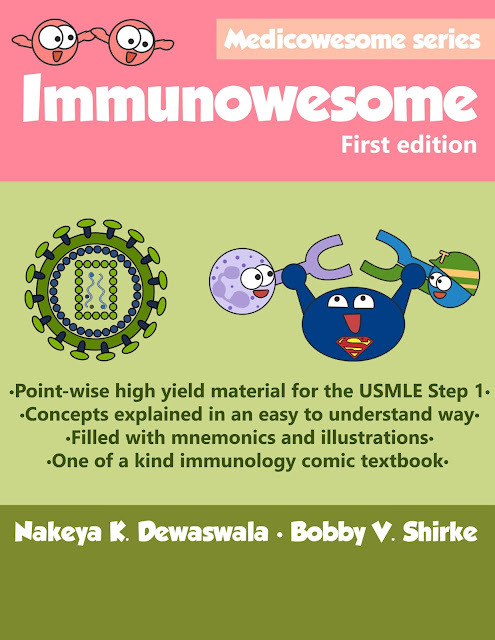 As you guys probably already know - my co-author, Bobby V. Shirke, and I were working on a book, Immunowesome. We finished writing the book a while ago and we planned to publish it and sell it on Amazon Kindle for a few dollars. However, we were so busy that we stopped after finishing the book and receiving copyright. 2. Supporting the authors website by visiting and sharing the page! Why does Hyper IgM syndrome predispose to P jirovecii infections? Here is an interesting concept. We know that in Hyper IgM syndrome, there is an inability to undergo normal class-switching or somatic hypermutation in B cells. 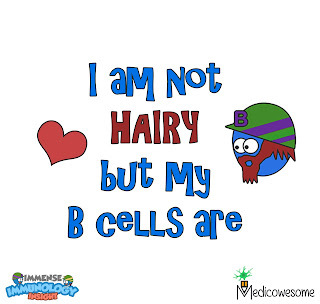 It is characterized by normal level of B cells with diminished levels of IgG, IgE and IgA and with high levels of IgM. That is why, these patients are susceptible to infections by extracellular pathogens that require class-switched antibodies for clearance, such as pyogenic bacteria. But why would it predispose to P jirovecii (P. carni) infections? Pneumocystis doesn't require antibodies for clearance! I am raising awareness about hematological malignancies this month. Today, it's all about hairy cell leukemia.